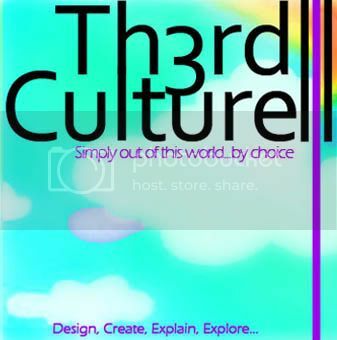 Welcome to Th3rd Culture! Please Click “HOME” to see our posts. This is a place to go for entertainment, information and inspiration. It’s a place of escape, where you can find completely original content in the forms of written work by our esteemed Writers and great visuals courtesy of our Arts team. Creativity is gift which we want to share with the world. Stick with us, comment, send proposed posts, art and poetry and suggestions. We are here for you so just let us know how we can improve. With team members scattered across the globe we know how you feel, if it’s getting used to the way people drive in Lagos or learning to understand your elderly neighbor in Dublin. We are here to keep you grounded. We say we are out of this world because everyday our lives can get us down or can be repetitive and mundane. We would all love to add some “zing!” to our lives and we are here to provide just that. Please Click “HOME” to see our posts and enjoy the ride with us. GO GUYZ!! !Something different from the “usual” I must say.